Western release due out three months after Japanese release. Atelier Lydie & Suelle: The Alchemists and the Mysterious Paintings will launch physically and digitally for PlayStation 4 and Switch, and for PC via Steam on March 27, 2018 in North America and March 30 in Europe, Koei Tecmo announced. The NIS America Online Store is selling a $99.99 limited edition for PlayStation 4 and Switch that includes a copy of the game, hard cover art book, soundtrack, deluxe cloth poster, collector’s box, and mystery bonus item. European pre-orders will open on November 21 at 12:00 p.m. GMT. Pre-orders at select retailers or online via Steam will include bous downloadable costumes inspired by legacy alchemists Marie and Erie. The bonus content also includes an item set full of useful alchemical ingredients and battle-themed music. Users who purchase the game from the PlayStation Store within the first four weeks of release will also receive two custom PlayStation 4 themes. In Japan, Atelier Lydie & Suelle: The Alchemists and the Mysterious Paintings will launch for PlayStation 4, Switch, and PS Vita in Japan on December 21, 2017. This next installment to the loved Atelier franchise celebrates the 20th Anniversary for the franchise and summons players to become the best alchemist ever by following the tale of the apprentice alchemist twins Lydie and Suelle. While working with their father to make their atelier the best in town, the outgoing twins surprisingly discover colorful worlds by jumping into magical paintings and soon find that the mysterious paintings hold the residual thoughts of their deceased mother. Traveling through different paintings reveals vivid worlds for the twins – from the light tones of the ethereal ‘Heavenly Flower Garden’, with the falling rain of stars, to the gloomy hues of the not so delightful Halloween-inspired ‘The Spooky Forest’. 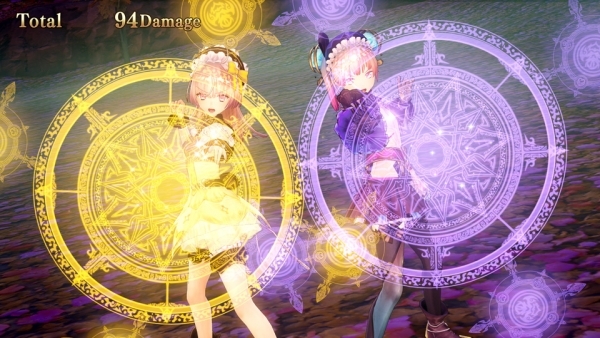 Atelier Lydie & Suelle: The Alchemists and the Mysterious Paintings also includes appearances from the protagonists of the previous titles – Atelier Sophie: The Alchemist of the Mysterious Book and Atelier Firis: The Alchemist and the Mysterious Journey. The adventurous Firis, her protective older sister Liane, the inquisitive Sophie, and her friendly alchemy teacher Plachta are all back to help Lydie and Suelle fulfil their dream to run the best atelier in the country. Fans will also be pleased to see other familiar faces returning in this brand-new tale, such as Ilmeria, who has now taken the role of a teacher for the new alchemists!